Magnet’s mission is to accelerate inclusive economic growth for all in Canada by advancing careers, businesses and communities. 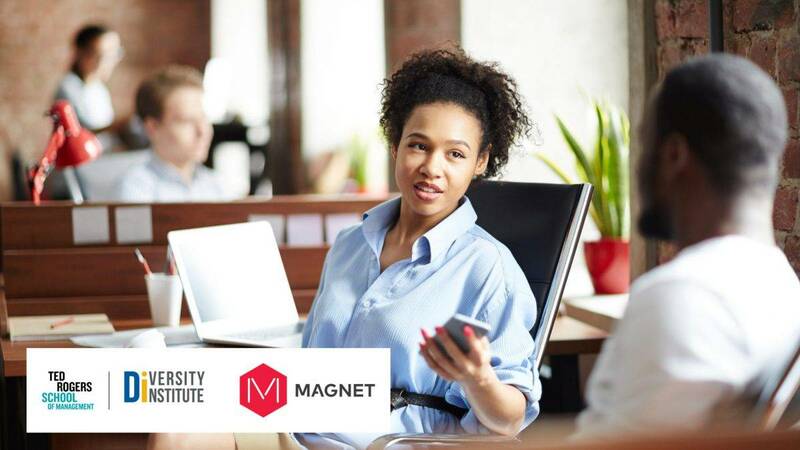 Women are a huge part of that- and in celebration of International Women’s Day, we wanted to highlight a few exciting collaborations and activities happening in the Magnet and Diversity Institute ecosystems that support women entrepreneurs in Canada. This past week, the Magnet Export Business Portal team attended “Business, Government, Services and You: A spotlight on Women Entrepreneurs”, presented by FedDev Ontario Small Business Services in partnership with the Diversity Institute, to talk about the variety of women-focused trade missions, as well as learning opportunities and events that are accessible to all women-owned businesses by creating an account in the Magnet Export Business Portal. The Diversity Institute in the Ted Rogers School of Management is a think-and-do tank which develops evidence-based approaches to address future skills, erode barriers in employment and promote equity, diversity and inclusion, and is a key partner on many Magnet projects, including the Magnet Export Business Portal. Magnet is also using its advanced technology platform to support the Women Entrepreneurship Knowledge Hub (WEKH), funded by the government of Canada. Led by Ryerson University’s Diversity Institute, Brookfield Institute for Innovation + Entrepreneurship and the Ted Rogers School of Management, WEKH is building a national network and accessible digital platform for sharing research, resources, and leading strategies. With nine regional hubs and a network of more than 75 partner organizations, WEKH is a nation-wide network of researchers, business support organizations, and key stakeholders aiming to grow women’s entrepreneurship in Canada. Magnet’s matching platform will help WEKH enhance the capacity of women entrepreneurs and the organizations who serve them by linking them to resources and best practices from across the country. Women-owned and women run business will benefit from Magnet’s newest functionality in the Magnet Export Business Portal, the Diversity Declaration. The Diversity Declaration, allows new users signing up to the Magnet Export Business Portal to identify as a diverse-owned business, if your company is owned and managed by an individual who identifies as a woman or with any of the following groups: Immigrants, Indigenous, LBGTQ*, persons with disabilities, veterans, visible minorities. By self-declaring, you can start receiving opportunities that are specifically targeted to support your needs and help you leverage your competitive advantage. 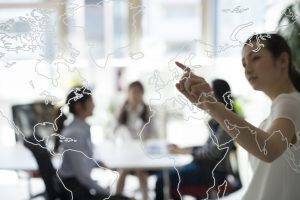 Check out this webinar on Global Opportunities for Women-Owned Business to give women-owned and run businesses insiders tips about exporting, co-hosted by Magnet.